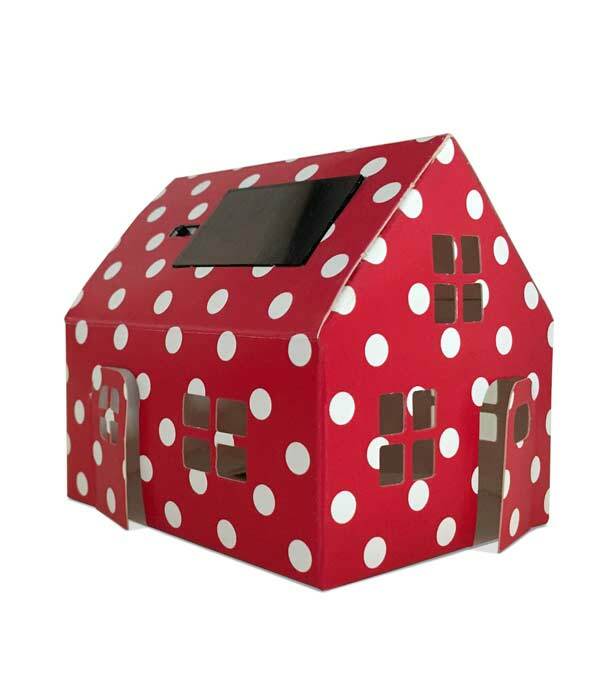 “Polka Dots Solar House” is a cute little house that runs on sunlight. Charge it during the day and light it at night! This sustainable “Solar House” is decorative, fun and educational. Your own sustainable solar powered house that is both decorative and educational. A day’s charge in the sunlight will give you 5 hours of light at night. Charge your Solar Hose by placing it on the window during the day and light it up when it’s bedtime! There’s an on/off switch for better battery time management. Each “Polka Dots Solar House” consists of an adhesive solar module and a sheet of pre-cut cardboard. The patented adhesive solar module consists of a mini solar panel, an orange LED, a switch and a Lithium-Ion battery. Building this sustainable solar house only takes a couple of minutes and doesn’t require any glue. Simply remove the house “pieces” from the pre-cut sheet of cardboard, fold all tabs, stick the adhesive solar module to the inside and adjust the tabs junctions to assemble the house. Fully assembled dimensions are 8 x 6,5 x 7,5 cm. Each house set is shipped in a A5 sized flat cardboard envelope weighing less than 50g for reduced carbon footprint. “Polka Dots Solar House” is a fun and creative way to introduce children to sustainable development and alternative energies. 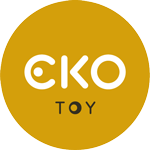 Easy to build and decorate it’s designed for children and adults alike doubling as a toy or a really cool decorative item. After assembly, place your house on the window sill to charge the battery: 5 hours of charging in sunlight suffice for 5 hours of lighting. The Solar unit automatically switches when exposed to sunlight. Also in our solar houses collection: The original model with its raw kraft cardboard look, the “white house” and the Solar Light Castle. The white canvas of the white house and castle allows children to freely paint them. Adults might want to keep it as a sleek decoration item. Check out the special Christmas edition – the Gingerbread House!